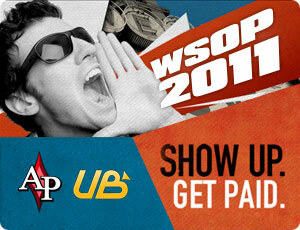 All you have to do is show up in Vegas and play the WSOP Main Event with Absolute Poker gear and you will get $1,000. It’s as simple as that. Run deep in the Main Event and you could win even more cash.